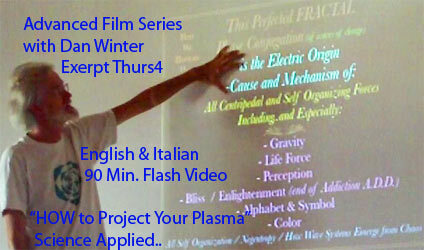 The appropriate challenge: using a serious science & physics - to teach ONENESS. What is Peace? Freedom from war and violence, working and living together without violence, the absence of conflict, the presence of love. Peace begins in the Heart. Today's science has ways of measuring peace in the heart. We are an international group of educators, researchers, leaders and ordinary people. We offer online courses, conferences, and workshops devoted to personal, group and international peacemaking topics. Our approach is to use science and biofeedback tools to teach and train individuals and groups how to experience the emotions of peace, love, and compassion. The science of peace is the physics of peace. We use scientific tools to measure the EKG of the heart to show you that the heart (and the world) become coherent and harmonic when you feel at peace. All health - physical, mental and emotional stems from the heart and the mind. Each heart and mind that can achieve a coherent, peaceful, loving state exerts a positive, peaceful effect on the environment and those around them. Sacral Cranial Pulse work involves using human touch with focused awareness, to align and sort (phase cohere) the waves in the spinal pump. A therapist traces by a light touch on the skin, the focal point of pain, and often measurably produce sorting and healing of the waves in the viscera. Research suggests that depression is eliminated if the spin liquid pumping becomes coherent. This field along with the scientific measurement of EKG harmonic analysis of the heart and emotions led to the idea to teach the Real Science of Peace. The convergence of these two fields, EKG harmonic analysis of the heart and Sacral Cranial Pulse work, produces an amazing simple science of what it is to make peace - among waves and among magnetic fields, and among people. In simple terms, the geometry which allows the lines of pressure in coherent touch to create stabilization among waves (healing), is exactly the physics of what allows magnetic fields in the land to become stabilized and fertile. In many ways this is an essence of Feng Shui and Geomancy. If we apply this idea to how you make peace among warring nations, there are some incredible opportunities to heal our world. Since you can often predict where a war will break out based on loss of conductivity / symmetry in the magnetic lines across the land, therefore there is in principle a way to fix it. Specifically, the science of making the waves of magnetism "Touch Permissive" (which is the same as non-destructive compression), is the activity of making peace. This skill which the touch therapist understands - coheres the body, and also can cohere villages, and the land itself. The principle is simple: water follows symmetry, follows focus (coherence), follows awareness, follows intent. These principles form the Sacred Geometry for a new science of what it is to make peace. It is a science, and can be practiced by measurement: Hearts can be measured to cohere and make peace, touch can be measured and taught to make peace in the body, and magnetic key lines can be measured and re-aligned and taught to make peace in the land. Peace is where waves learn to agree to share. With modern tools to measure the best way for waves to share space (coherence), there is no reason why we cannot teach warring generals to touch hearts, on land that has been healed of magnetically destructive harmonic interference, as the perfect prelude and foundation on which to build peacemaking and peacemakers. Education: Online courses on the science of peace for individuals, families, communities, and businesses. Using science and philosophy we address the personal, environmental, global, economic and health benefits of training the heart and mind in the emotions of peace and bliss. Religion/Spiritual: Our wisdom conferences, workshops and online courses feature the integration of religion and spirit using the science of love, bliss and peace. Environment: Seminars on using the science of peace to create peaceful environments. Online courses in the design of peaceful virtual areas and the design of personal and community peace projects. Proposal for an International Event to Inaugurate and Launch a Significant International University to Teach a New Science of Peace, with centers initially in Oslo, Amsterdam, and Perth. Patricia Hamilton - Consious Living Magazine, Perth. Science of Peace Presentations at Perth Expo, Oct 2002. Georg Gaupp-Berghausen, Eichenberg, Austria , geo.cultur@vol.at , coordinator Asociacion Culturas y Ciencias, Cuenco, in Cuenca, Spain., Asociacion Universal Cultural in Torronteras, in Spain. Whereas: The reason Peace has until now largely been unsustained on this planet, may be significantly due to failure to make clear and teachable the pure principles of what makes peace possible - in scientific and human terms. - Peacemaking in the MIND, a teachable frequency signature in the EEG based on phi and implosion. (ref 1., ref 2, ref 3 ) Electrical geometry of bliis, euphoria, transcendance and now articulated and can be learned in self-empowering biofeedback. The CENTERING and peacemaking force of attention itself as implosion in brainwaves - coherence in it's sustainable measure IS recursive embedding. - Peacemaking the the HEART (COHERENT EMOTION), Coherence and Centering Force in the EKG are now measureable and teachable. Showing that even the very nature of compassion itself is related to the idea of compression - made non-destructive. www.heartcoherence.com - more below. The Pure Principle of the Science of Peace lies in the symmetry of FUSION of people or waves which make a 'centering force'. The ultimate coherence is self-similarity inside out which is measureable electrically by accurate harmonic analysis as peace in the heart, peace in the mind, peace in the bodies movement, AND peace in the land. PEACE is the 'Music of Embedding' waves which nest embedably, compress non-destructive - they 'touch' permissively AND they produce ONE from MANY. The self-organizing centering force which the geometry of perfect FUSION creates, is the essence in principle of what makes WAVES stable and sustainable - AND THEREFORE THE ESSENCE OF PEACEMAKERS SCIENCE. Perfect embedding or nesting allows the maximum number of waves to touch non-destructively - and THIS IS PEACE. Peace in the place of maximum AGREEMENT among both waves and people. AND THIS AGREEMENT CAN BE TAUGHT IN THE PERFECT COMPRESSION WHICH FRACTALITY OR SELF-SIMILARITY CREATE. "Peace Making is the principle of arranging magnetism (feeling) in the symmetry which allows waves to become self-similar enough to self-re-enter. This invites non-destructive compression or FUSION or IMPLOSION which is identical to compassion - because during compassion the heart makes a magnetic picture inside which is so self-similar to what is outside - that the 'outside falls in'. Turning-inside-out ness IS the geometry of SELF-REFERENCE which became the Vedic definition of consciousness. This infinite non-destructive compression of charge by recursive Golden Ratio constructive interference of wave VELOCITIES in addition to wave lengths provides a way-out thru the speed of light for charge. Thus: like pulling the plug in a bath-tub, arranging charge (capacitance) into a fractal, makes GRAVITY. This explains why pent self-similarity is the shape of everything alive, why people lose mass at the instant of death, and solves Einstein's stumper question: namely that this (PEACE MAKING) symmetry of infinite non-destructive compression is the source of voltage from gravity (source of the Heart's voltage, and source of the DC voltage which measures the freshness of an egg / pinecone or anything alive). It is necessary to understand the physics of gravity in this way in order to understand the physics of peacemaking, because this creation of centering force, where for example the self-similarity or fractality in wave symmetry predicts the amount of gravity (by perfect fractal wave collapse) in an atom or a meditator floating, or in anything. So to create the centering force which holds any field together requires this creation of the limit condition of coherence - which is fractal or where 'the inside looks like the outside'. 1. That COHERENCE can now be measured and thus made accurately teachable. 2. That the HEART can be measured and not just the brain for that coherence. See HeartTuner. 3. 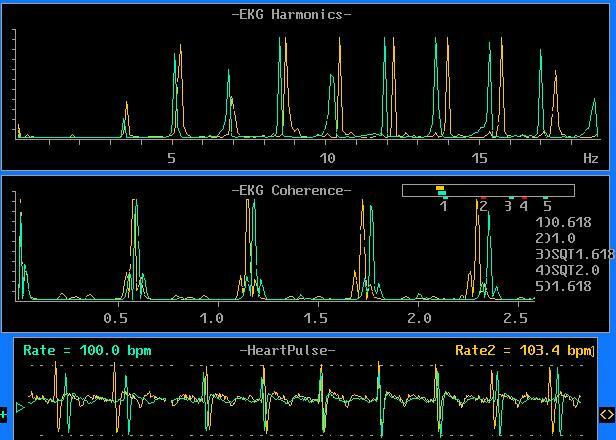 That many people at once can literally see their heart coherence come into phase with software well under way- see "The Harmonic Module" in conjunction with HeartTuner. This pure symmetry operation to produce fusion - IMPLOSION, (picures of the symmetry of implosion ) becomes the principle of how PEACE is made in many practical yet scientific and measureable ways. 1. We can measure and teach Heart COHERENCE - which is emotional coherence, and quite visibility a truth detector for the body. This teaches emotional coherence. Internal coherence within one oscillator like the separate heart, has never before been dynamically measured until this pioneering use of the Septrum (2nd order FFT / Power Spectra). The amplitude of the first dynamic peak of the septrum provides this new and revolutionary new measure of the COHERENCE and therefore VIABILITY of the EKG or of ANYTHING. 2. We can measure and teach the Heart's music to enter into the precise musical symmetry of EMBEDDING which is compassion / compression, because the 'Septrum's numeric (y axis) value - the musical key signature of the EKG - replicably moves toward the Golden Mean ratio when people feel OPEN-NESS, COMPASSION, literally the membrane bridge electrical symmetry of non-destructive TOUCH. In effect, teaching people to move from EKG musical fundamental of 1.0hz to 1/.618 hz - dramatically appears to teach them to move from HEAD centered to HEART or self-similar centered emotion! 3. The HeartTuner teaches PEACEMAKING and CONFLICT resolution by teaching people to LINK or PHASE-LOCK their EKG to the same musical key. The same key signature of the heart's music measured as described above, provides a very dramatic picture of the moment of COMPASSION, EMPATHY, CONFLICT-RESOLUTION, and ROMANCE. We do this with the HeartTuner by displaying 2 people at once. Never before has it been possible to see when 2 people become electrically in-phase (impedance matched or resonance entrained) to capacitively share biologic information (micromotion entrained). Not only is this probably the ultimate tool to teach clinical empathy, and spiritual healing, we have software already in beta test to allow larger groups of people, over intra/inter-nets to practice Heart Link up. This is conflict resolution (for families, corporations or nations) and consensus process and PEACEMAKING in the ultimate measureable environment! B: PEACEMAKING in the brain / mind. Peace or electrical self-centering and charge attraction ( attention / bliss / and enlightenment) are clearly the result of brain waves whose magnetic geometry assumes the SAME SYMMETRY of EMBEDDING AND INFINITE COMPRESSION organizes by non-destructive COLLAPSE / FUSION . - also measureable by spectrum analysis. 1. We know what PEACE is in the EEG from measuring the musical geometry of brainwave harmonics which produce ATTENTION - and heal Attention Deficit Disorder AND ADDICTION. ref: Addiction / A.D.D. Solution with self empowering neurofeedback. The simple principle is, that when a CASCADE of phase locked harmonics in EEG produce COLLAPSE (compression of charge) then the field of the mind self-organizes to create ATTENTION and also the solution to addiction. Previously it was thought that replacing 1 simple harmonic could heal A.D.D. or addiction, but now the deeper principle that IT IS THE GEOMETRIC RATIO of the CASCADE or HARMONIC SERIES which produces attention. In effect - stable attention - is electrical PEACEMAKING in the brain - and that is produced by the same symmetry of wave collapse / fusion / implosion we see in the heart! Read about the HeartTuner measuring PEACE / as attention in the brain - see 'braintuner'. Previously eegspectrum.com 's $14,000 system was required to teach - replace the missing brainwave harmonic - to acheive the 70% sustained success against ADDICTION or A.D.D. As you can see at , new software with HeartTuner, will accomplish this more elegantly by for the first time measuring and teaching overall COHERENCE in brainwaves - in addition to the conventional - 1 missing wave length at a time approach. 2. We know what PEACEMAKING is in the EEG by studying the electrical physics of EUPHORIA and BLISS in brainwaves. Specifically, Professor Korotkov's recent studies of the brainwave harmonics of euphoria and bliss, confirmed earlier work Ed Wilson did at Monroe Institute, and Dan Winter's work on heart harmonics. The study showed that during bliss and euphoria consistently the RATIO between brainwave harmonics was within 10% of .62 or Golden Mean ratio. See: 'brainphire' . Bliss is the charge density of perfect charge attraction which braid embeds DNA and immune membranes to the potentially infinite context richness we call an immune system. ( see also: lifeforce defined electrically ). C: PEACEMAKING in the LAND. In summary, restoring self organizing properties to the land's long wave magnetics, creates a magnetic environment where nations and their weather can emerge from chaos. That fractal symmtry for long wave magnetism is exactly the SYMMETRY RECIPE for PEACEMAKING we discovered in heart and brain. Magnetic and charge symmetry make the gravity that holds us together, when the principles of fractal embedding are practiced. Examples of LeyLines and PeaceMaking from Peter Champoux et al. D: PEACEMAKING in human touch. 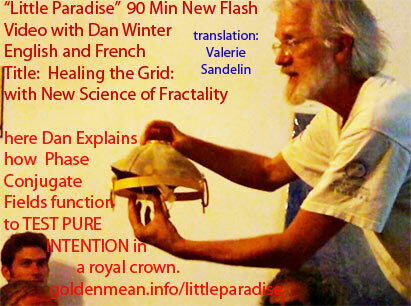 Cranio-Sacral Skill to Touch -'Non'Destructively - Becomes a SCIENC OF PEACE. The symmetry pattern of touch which is most inclusive and healing, is based precisely in the self-similar geometry based on Golden Ratio. (see the love wave in 'sentics'). A PEACEFUL touch is one that understands embedding. The perfect geometry of pressure over times, defines the musical nature of human touch and how emotion is conveyed. See: Sentics- and "How to Touch". In the Sacro-Cranial work, human touch is used to focus charge and attention to align the waves, both liquid and electrical in the spine. This alighnment produces what is directly felt as a STILLPOINT. The stillpoint, or movement to lock into phase all waves of different lenght, produces a SORTING into that which nests and can share. Thus producing a 'spin path to the zero point' in touch, directly helps sort emotion and heal. "When we touch non-destructively and with intent - we restore symmetry, we invite HARMONY into the body. We create a STILLPOINT - and thus - we allow for PEACE in the body. "Peace Em-BODIED". We transform the consciousness in ALL our cells. One peaceful cell influences all its neighbors in all directions. We will instantly extend this peace - this level of consciousness to land, cultures, and fellow Earth citizens. This establishing of symmetry, harmony and PEACE inside - allows us to choose COMPASSION, and to CHOOSE PEACE. In this way, we MAKE LOVE VISIBLE. 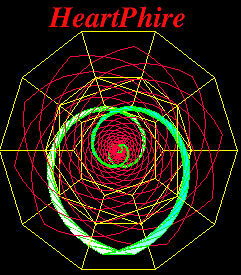 The capacity of HARMONICS give the Heart WINGS - From explaining BLISS to EXPERIENCING BLISS. Hand's ON - with TOUCH. Love itself IS perfectly CONSTRUCTIVE compression. E: PEACEMAKING in human MOVEMENT. Pam - Tai Ji. Posture geometric of 'grace' - to attract CHARGE fractally in movement. life force = carge density = waves at peace (in "CHARGE"). Presented with Pam Hiley - http://www.taiji.no/ . In Tai Chi for example movement is done with the quality of ATTENTION which is charge dense, then the rate of change of posture.. allows waves to share crests, and build their charge. The perfect WAVE of movement in the TAI CHI is like the perfect wave upon a wave whose 'tail end' is perfectly in phase like a cascade holding a committee of interconnected wavelengths all nested to arrive a ONE POINT of movement. Imagine the definition of GRACE in the TAI CHI as a description a gathered CHARGE which occurs when the fingertip moves like the tip of this wave on the wave: A PERFECT CASCADE OF PHASES.. Always braiding many spin lengths into one - and never a 'jerk'. In this way CHARGE is embedded - and life force is produced in movement. The symmetry which produces PEACE and LIFE in movement is the same - it is perfect wave nesting. F: PEACEMAKING in the human BREATH. Breath enacts the geometry of embedding which is PEACEMAKING when the stillpoint. Perfect damping based on recursion in the geometry of BREATHING. To make a STILLPOINT in the breath. Exercises to Zero Point . The breath which produces CHARGE and produces PEACE - is exemplified in how perfect harmonic inclusiveness in the change of breathing produces fractal or harmonic inclusive HeartRate Variability - so medically documented to heal. G: Restoring LIFE FORCE as true PEACE-MAKING Electrically to food and living space is ALSO to arrange the biological elements into the self-similarity of TRUE COMPRESSION / WAVE COLLAPSE. see:Measuring Life Force - & Making Love Visible? Therefore: We propose to initiate a series of international campuses and colloquia entitled: University for the Science of Peace. Our intention is to create a major presence on significant university campuses internationally where this science is taught. Further, to create a series of international conferences where international experts - some are mentioned here, many more are invited - to present and compare their work on the science of teaching peace. "Touching The Wind on Which Love Travels"
Sacred Geometry & Body / Earth Healing. Australia- / Perth launches the Science of Peace University at the Conscious Living Expo October 31 to November 3 . "We will have a Peace Dome set up in the centre of the Exhibition hall which will be built along Sacred Geometry Principles in which will be held meditations , harmonic resonance sessions using didgeridoo, crystal bowls and other instruments as well as healing sessions.- all conducted under the auspices of the Science of Peace University. Donations will go towards the projects supported by the Peace University. There will be a labyrinth walk - for people to walk with the intention of creating peace in their heart and world harmony. This will be layed out in the hall in the centre of which will be errected a Tree of Life - as per our vision - a 3 D structure . There will be a garden designed along the principles of magnetic flow, A watsu healing water therapy pool, Demonstrations of quantumponics , displays of permaculture, feng shui and organic produce. 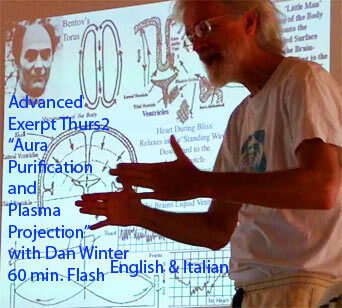 Workshops and lectures on the Science of Peace, the Heart Tuner .and your other work . We will have a booth to demonstrate the heart tuner inside the exhibition - with several heart tuners set up for people to experience. This will be an inaugural opening of the Australian Science of Peace University we invite people from around Australia to attend and to include a 2 day Science of Peace Conference after the Expo in which people can experience training as Science of Peace Facilitators . This Conference could be held on Tuesday and Wednesday November 5-6 in our new Conscious Living Celebration Centre in the city. We are planning a media launch of the Peace University/CL Expo at the Celebration Centre around October 17th. We will have additional public seminars and workshop in the 2 weeks prior to the Expo. with the option of holding the Facilitators Conference on the weekend prior to the Expo ie October 26 and 27. - An International University for The Science of Peace. The original inspiration for a new university to teach the Real Science of Peacemaking, arose in conversation with Inya and Dan. Inya teaches a form of the Sacral Cranial Pulse work, which used human touch with focused awareness, to align and sort (phase cohere) the waves in the spinal pump. A therapist traces by a light touch on the skin, the focal point of pain, and often measureable produce sorting and healing of the waves in the viscera. (Research suggests that depression is eliminated if the spin liquid pumping becomes coherent.) Dan Winter teaches the 'Sacred Geometry' of touch based on EKG harmonic analysis, and the wave shapes for emotion documented in the research on music ("Sentics" from Manfred Clynes). Is the EKG Wave Itself a Heart Link to Physics of PEACE? Does The Prize of PEACE Depend on Understanding the Pure SCIENCE of What Peace IS ? What is new about a University for the SCIENCE of Peace? Peace begins in the Heart. This is ancient knowing. Today's science has ways of now teaching how to make peace in the heart measureable and teachable. We have used harmonics to find that the EKG of the heart becomes COHERENT and harmonically EMBEDDED when you FEEL at peace. This ordering of the heart harmonics is easily exoerienced with biofeedback when people see that FOCUS in the heart, and awareness of love and compassion, create the 'singing of the heart' which we measure as COHERENCE. The new information, is that this science of what makes the electricity of the human heart STABLE and SUSTAINABLE, is truly identical with a new and teachable universal science of WHAT IT IS TO MAKE PEACE. When the heart learns the skill to be INCLUSIVE, this process of getting the MOST HARMONICS included in the EKG is called "Heart Rate Variability" or HRV. Medical literature is very clear, that 'FRACTAL' or inclusiveness in the frequencies contained in the heart, truly define the end of most chronic disease and possibly aging itself! ( www.goldenmean.info/dardik ). What we have learned is that the electrical geometry of the heart which learns to be fractal and sustainable, has actually learned how FEELING can share space, making the non-destructive compression possible, which appears to be IDENTICAL WITH THE VERY NATURE OF COMPASSION. Recent Russian research ( www.goldenmean.info/brainphire ) has shown that brain wave harmonics 'embed' by the Golden Mean ratio (~ .618) during euphoria or bliss. The HeartTuner ( www.goldenmean.info/hearttuner ) has shown that often when people become coherent AND feel openness or wonder of empathy, their EKG harmonics ALSO choose that perfect golden ratio of embedding. This corresponds to the ability to ('fractally') ATTRACT and SELF ORGANIZE CHARGE, which becomes a new and radically revealing DEFINITION OF LIFE FORCE ITSELF. The SCIENCE OF PEACEMAKING, recognizes the magnetic relationship, between Hearts which are fractal and joyful, with what makes that charge of life, sustainable in the land and culture. Professor Phil Callahan ( www.goldenmean.info/CALLAHAN ) documented that often you can predict where a war will break out, based simply on whether there is enough magnetic symmetry (paramagnetic stone circle / feng shui / labyrinth /) to make MAGNETISM FLUX PERMISSIVE in the soil and land. In other words, if magnetic lines get lost and dizzy, because there is not enough symmetry in land and hearts, then the people who inhabit that land FRACTIONATE . Peacemaking IS the difference between FRACTIONATION (breaking up connectivity) VERSUS FRACTALITY (embedding into coherence by non-destructive compression). Another simple way to say this is to recognize that powerful charge rich bliss or euphoria experiences are unsustainable, unless your backyard or garden is FRACTAL. This means simply that rearranging the magnetic lines in your land to look like a rose instead of like tangled knots, is what feeds your roses.... AND feeds the politics of peace. Another example of the science of making peace, becomes experiential when you teach political leaders at war, what it means to link hearts by actual measure of EKG musical fundamental, BEFORE you negotiate peace. ( www.goldenmean.info/module ). This applies to empathy training by heart link up, and corporate concensus process by heart as well. Now that we can have a working scientific definition of WHAT PEACE IS, peacemaking as a science becomes teachable. Peace is what happens when waves agree! Waves agree when they embed or nest inside each other, so that all can sustain, yet none are destructively interfered. The fact that this physics emerged from Heart EKG discovering health and longevity - evidences that we can apply it to land engineering, and the political process of making peace. Perfect nesting was discovered by nature and called PHYLOTAXIS based on golden mean ratio perfect packing and unpacking. Confirmed now in the Heart EKG discovering compassion, we can apply it to the principles of peacemaking between families, and nations. These principles are outlined in more detail at goldenmean.info/peaceprize . The convening coeur group of our Univesity for the Science of Peace, invite you to join us in the curriculum and science of peacemaking. Leaders from countries all over the world, have joined us - and we are grateful for the fire in your heart joining us- as we nourish this flame. Global Vision informs us that the Science of Peace in the Heart becomes a teachable science of Peace on the Land and in the World. The research centers in the Netherlands and elsewhere, have shown that Heart EKG Harmonics can measure coherence and peacemaking in individual hearts. Using the principle that water follows magnetism follows symmetry follows awareness, it becomes clear that human bliss and joy are sustainable when this 'fractal attractor' of the heart principle, is applied to environment and the land. (In reference to the Science of Peace University Project at Seed-of-Wholeness Conference, Netherlands) - On June 9th, the focus for the day is about IGNITING Compassion is compression that results from perfect sharing. This is the igniting principle which creates implosion or fire/'PHIRE' in the heart and the blood.On June 10th, we will extend our focus on GERMINATING and CULTIVATING the seeds with this inner fire. To sustain growth, our seeds of wholeness need an ongoing process, creating an institution which grounds and provides a container for this co-creative effort. A core group has already convened and here offers their dream intention to create AN INTERNATIONAL UNIVERSITY FOR THE SCIENCE OF PEACE at this appropriate time during the climax of the Seeds of Wholeness Conference. International groups from Norway, Netherlands, Germany, US, and the UK have already committed to this project. We are inviting you to join in the formation of an ongoing University of Inclusive Science. In addition to this follow-up event in the Netherlands, a Conference is planned for July in the beautiful countryside outside of Munich, Germany and another near Oslo, Norway later in the year. Depend on Understanding the Pure SCIENCE of What Peace IS ? - As EMOTIONS TOUCH PERMISSIVELY Between Bioregions. Land at PEACE is when Waves of Magnetism are at Peace. The Holy Grail of Embedding or Perfect Nesting IS that Peace - and it is teachable in the pure science of musical harmonics based on Golden Ratio - in both the Heart, in the spinal harmonics of bliss, and in its perfection in the Feng Shui of the land. Peace is the wave cocoon that learns to nest - and so become self-steering and self aware. Soul groups (true nations) embed first in their hearts, and then in the shape of magnetism which is the true face of their land. This creates sustainable memory among waves and nations, which is natures essence of peace. The key is to link the symmetry knowledge of perfect embedding/nesting or fractality - to the psychological operation of compassion - which is recursive turning inside out in the heart - creating non-destructive compression: literally - peacefulness for waves. Is the EKG Wave Itself a Heart Link to the Physics of PEACE? Is It Wave's Nest Become Well Embedded Which Makes HEARTS, COMMUNITIES and PLANETS PEACEFUL? Dedicated to the Occasion of the Re-Convening of the Nobel Peace Prize Community in Oslo Norway, 2001. Once upon a time an approaching Tornado was threatening to destroy a small isolated town in Inca land. The Shaman went out from the town to meet the Tornado, and he was successful in saving the village. After he saved the town, the Shaman taught his students how he steered the tornado. He told them he ATE THE HOOCHA OF THE TORNADO. Eating the "HOOCHA" he said is like consuming the anger - that which was unshareable - and sucking it into your BELLY (Dan Tien / or Solar Plexus). Learning compassion for the tornado, is learning to FEEL FOR THE TORNADO, more than in fact it feels for itself. This has a magetic meaning, and it begins with 'recursively' turning yourself inside out. Directing your center of gravity to EMBED or CENTER ITSELF into the center of gravity of the tornado, literally screws you into it. (grail animation ). The shaman explained to his students that by feeling so well for the center of magnetism / center of feeling, or the tornado - it soon followed him around like a puppy. Remember that all of physics is the story of WORM HOLES (string theory , song lines , vortex...). These are all names for tornados. So steering a tornado using the embedding of feeling (compassion is compression made non-destructive), is the ultimate physics of creation mechanics. The reason DNA was designed with the ultimate symmetry of Golden Ratio fractal embedding, was to allow the charge compression of hearts in bliss to braid implode genes - to make gravity. ( Ref 1. , 2., 3., 4., ) This wave steering, star bending, centering force evolves and is tested specifically with our racial learning - how to make peace among waves. Emotions which get out of control between villages are like that tornado. Below you will read how war can be predicted by simply measuring when the magnetism in the soil loses symmetry / permission to touch. Soil flux permissivity - the predictor of war versus peace -IS a symmetry problem. The activity of peace making in principle, is the activity of creating so much symmetry of magnetic fields, that they make WAVES ABLE TO STAND. - LITERALLY PEACEFUL. The symmetry (for waves, for magnetism, for hearts, for land magnetics, and for people ) which makes PEACE, makes waves able to stand - compress non-destructively - and become PEACE - FULL. The picture of this FRACTALITY (versus fractionation), is perfect EMBEDDING or nesting, and might best be realized by visualizing a ROSE or a LABYRINTH as the magnetic layout for your PEACEFUL - heart / bed / backyard / town / bioregion / planet. Magnetism is the wind on which both LOVE and PEACE travel. In order for its waves to permit the non-hurtful / non-destructive touch which peace requires, magnetism needs only the symmetry of the rose. And yet the labyrinth of creating this perfect turning inside out in both your heart and your land, while teachable as the pure synmmetry of the physics of embedding, requires also a PSYCHOLOGICAL insight. Namely, that COMPASSION and COMPRESSION are the same thing. These are names for how space (and magnetism and everything that is ) become shareable. Thus the test for peace in the same topology as the test for pure intention. When waves can compress well, they can share well. Nature solved this problem in the Golden Mean ratio we call PHILOTAXES the perfect branching of all biology. (The scion branches into the grail: Maximum exposure / minimum superposition is natures solution to the best way to share light). The Heartlink EKG biofeedback invention measures this by measuring compassion as the musical fundamental of the EKG becomes Golden Ratio / embeds. Then amount of EKG coherence is the intensity of the emotion, the musical key signature of the EKF moves from octave to PHI based as emotion moves from head to heart centered. When 2 peoples EKG phase embed by musical KEY - so visible using HeartLink - they have made peace. This can be synchronized for millions. ( Harmonics Module Project - http://www.goldenmean.info/module ) . The physics of peace in the land requires nothing more than the simple projective geometry of these same symmetry lines of magnetism into the land. The ultimate peace pavilion is the labyrinthine extension of the dowsed ancient sacred temple concept - to true temple of the SOL of Man. (Solomon). Where the heart of the SOL / Sun - is the heart of man. Simply, we create peace by restoring the long wave magnetic symmetry of the land - kind of the physics of Feng Shui - integrated with new understanding of the magnetics of embedding. The mathematics of HOW WAVES SELF ORGANIZE TO BECOME SELF-AWARE - is simply a restatement that the only path out of chaos for waves and people and cultures is fractal - the path with heart - the path that embeds. (see The World Touch School ). 1. HeartLink EKG biofeedback - peacemaking inside - then between 2 - then in groups. 2. Applying embedding to creating peace temples in the land using dowsing, labyrinths, and long wave magnetic grid engineering - eventually to taking responsibility to modulate and bring the climate of bioregions out of chaos. Then applying these long wave magnetic lines re-steered to embed, to healing countries at WAR. 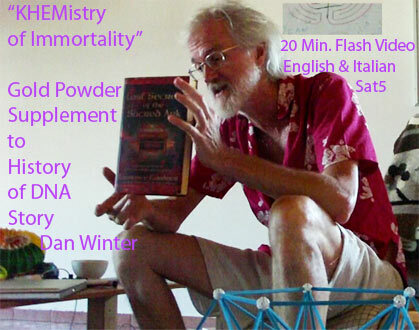 a) Diet of Live Food and Live force, eliminating stimulants and DNA in pain from lack of freedom like wheat etc. c) Kinesthetics of Bliss and peacemaking. Sacred Dance and Movement. d) Understanding SOUL Purpose, and the Alchemy of Fusion by Emotion for Soul Groups, destined for star inhabiting. Frame 1: Left-Raw EKG, Right-Harmonics0-20hz, Middle, 2nd Order FFT Amplitude=Learning Heart Coherence,Position.62=Golden Mean Is This Heart's Musical Fundamental - A Scalar Key Signature Indicating Learned Embedding: Heart Opening. To Learn More About HeartLink - Click on Each of These Images..
Scientific abstract: Harmonic analysis of the EKG (approaching fractality or simply: all inclusiveness) has been increasingly correlated to sustainability in HEALTH (ref 1. Dardik and Heart Rate Variability key to MOST chronic diseases? goldenmean.info/embedability ), AND more recently in our work with heart biofeedback, with the sustainability of emotion. The geometry or ratio between contained harmonics in the lo frequency EKG, in the same bandwidth as brainwaves, and the Earth's Shumann resonance, appear to be a predictor of the QUALITY of emotion, by large numbers of subject reports. When the wave lengths contained in a heartbeat's voltage nest by multiples of 2, the emotions are reported to relate to creating membranes, separateness. Whereas when the ratio between contained harmonics nest by mulitples of the Golden Mean, the emotions reported are far more frequently related to BUILDING BRIDGES ACROSS MEMBRANES. (literally: embedding, ref above)(reports of wonder/compassion/love). This may be teaching us something which could be applied directly to understanding what is the physics of waves which makes non-destructive nesting possible. This in turn may well be applicable quite immediately to what makes large social structures AND magnetics able to non-desctructively nest. It is our belief that THIS portends a radical new definition of WHAT IS THE NATURE OF PEACE.. (wave mechanically), learned from the geometry of the peaceful heart, applied directly to solving global conflict. This author has a long history of study of the wave geometry of peace. Robert Mueller, of the World Peace University was kind enough to offer positive "feedback" and great personal encouragement to me years ago, in studying this. The field of "sacred geometry" is probably central to the pure principle behind most wave mechanical revolutionary ideas of our culture. As a term, "sacred geometry" may need to mean little more than, WHAT MAKES WAVES SUSTAINABLE. It is obvious that symmetry and nesting, called quantum mechanics, is what makes waves, stand and wave. This phenomenon which allows waves to resist change of position (momentum stored), is the only definition physics has ever had for mass: hence this is a spirited (spiral) creation mechanic at work. What we have learned is that we can identify the not just the AMOUNT OF COHERENCE or EMOTIONAL INTENSITY from moment to moment in the EKG, but also the QUALITY of that emotion. The amount of coherence or laser like ordering in the hearts harmonics is the amplitude of the first peak of the second order frequency signature (a radically new mathematical technique this author has pioneered). Further, the QUALITY of the emotion of the moment appears (by large numbers of subjective reports), to be predicted by the position of numeric value of that same peak (first peak of the second order fft).. This NUMBER which appears on the HeartLink biofeedback screen, dynamicaly updated, is called EMOTIONAL INDEX or EMOTIONAL INTELLIGENCE (EI). Numerically when this number is 1.0, the interval BETWEEN harmonics is 1, and the emotion generally is intellectual satisfaction, descriminating, and MEMBRANE BUILDING (literally making separateness). Whereas when this number approaches .62 (near Golden Mean), the interval between harmonics is the inverse 1.62, which corresponds to emotions which are MEMBRANE BRIDGING (literally making connectedness sustainable wave mechanically) which is to make many (waves) into ONE. The reason all of this applies directly to how we should teach PEACE making, is the subject of this paper. Clearly, it would appear the heart is teaching us the way in which to create charge envelopes to nest in a way which are most mutually constructive. What we here propose, is that in the process, we have arrived at what is LITERALLY A NEW AND HIGHLY SPECIFIC DEFINITION OF: WHAT IS PEACE ! To try to phrase this simply, wave mechanics tell us our world is probably MADE OF WAVES. Further, those like myself in the study of emotion and consciousness have largely come to the view that feeling and awareness CAN BE MODELED EFFECTIVELY AS WAVE PHENOMENON. For example, we frequently say now (with great conviction), that MAGNETISM may be THE WAVE ON WHICH LOVE TRAVELS. This is important because we can now look at how PEACEFULNESS, IN THE HEART, IN BIOREGIONS, AND IN CULTURES, may be a direct result of how we nest our waves, NON-DESTRUCTIVELY. We need only take this from a pleasant abstraction, to HIGHLY PRACTICAL WAYS TO MAKE PEACE. Now how could we suspect that this principle could allow us to end wars? 3. Professor Phil Callahan (ref 5. goldenmean.info/CALLAHAN ) showed that you could predict where war would break out politically by simply measuring how permissive the soil was to magnetism propagation. Altho he only made tests in places like Isreal, Northern Ireland, Yugoslavia, and The Amazon Jungle, the precedent is excitingly indicative. To summarize in principle: as the magnetic long waves in the land get broken up, the assymetry (fractionation/ lack of fractal embedding), inhibits conductivity to magnetism in the soil. This resistance to the passage of long wave magnetics causes a breakdown in the way EMOTIONS are passed between bioregions! This sounds so romantic as to be incredible, but time and again I have observed this at work. I tell the story of Vukovar where the Yugoslavian underground water retreated because of social breakdown (war), and human symmetry making behavior (empowered women and labyrinth rituals, sacred/ecstatic movement/ COUPLED with intelligent landscape grid magnetic engineering) -- brought the water back! (water seeks magnetic symmetry - love ). Exerpt from the article I wrote about the PHYSICS OF PEACE MAKING.. (beginning with the film I was making at the time with Professor Phil Callahan in Florida: ) ".... he began to notice that all the politically agonized areas of the world where war and killing were breaking out were exactly the places where Earth's magnetic field was not conducted by the soil. He has traveled globally to Ireland, Yugoslavia, Israel etc. carrying his liquid crystal battery oscilloscope and ingenious organic fibre mineral wetted probe. He measures with the latest technology the "penetrance" or susceptibility of the soil to magnetic flux lines. Then he measures the strength of the natural "Schumann" magnetic resonance of the Earth at that site. He finds that the amount of rich rock dust like paramagnetic mineral in the land is a predictor of the sites overall "Earth heartbeat" Schumann magnetic field strength. This suggests that the Earth's magnetic "flowform bloodstream" by the shape or frequency signature of its envelope of electrical pressure, actually informs biology at Earth's surface of an organizing information context "long wave." We might compare the metaphor to the book "Grammatical Man, Information, Entropy, Language and Life," in which we see that the reason DNA has a high signal to noise information flow ratio is specifically "context dependency." 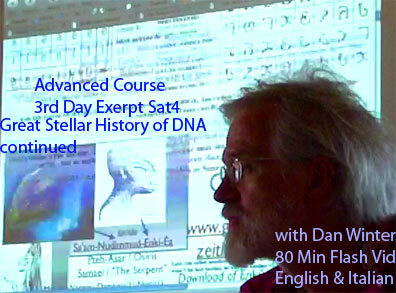 In the weave of genetic material this translates to mean that the braid angle of the long wave on the short wave, in DNA, creates an information link. So back to Phil Callahan. What he then noticed was it seemed that wherever he measured a weak penetrance by the Earth's natural magnetic resonances (Schumann 2-16 hz), not only was agriculture more difficult, but he also noticed a specifically greater tendency for there to be political strife and warfare in the region. Fascinated by this possible connection, he began flying around the world to make more measurements. And in fact he has now been to most of the globe "hot spots" where killing is a fact of life. (Yugoslavia, Ireland, etc.)... His hypothesis was born out in measurement with uncanny definition. Then he decided to investigate whether it was just human structures and unwise land management that resulted in low magnetic flow susceptibility in the soil, and thus produced fractionation/strife in the civilization there. He chartered a plane and then a canoe to witchdoctor headhunter country in the Amazon. He consistently found amiable and easy to live with natives in the river delta where the soil was deep. Traveling upstream and upcountry to where the growth was still lush, but there was almost no soil, just a webwork of roots on thin dirt, he found very poor magnetic penetrance, low Earth magnetic flux intensity, AND very hostile headhunters! Prof. Callahan's preliminary conclusion is that indeed where magnetic fields cannot penetrate into coherent long waves, cultural breakup results. We may see this as similar to the additional spin ordering in water, braided through flowforms (changing flotation ability and seed growth) is partially lost when you pass the water through a fractionating screen or sieve. We must begin actively siting magnetic stone structures in architecture, dolmen, and land tuning, to actively allow Earth to distribute the information of her context into our living systems. If we continue siting cities in ways that mindlessly interfere with the natural magnetic mineral veins of the land, we will continue to destroy the immune identity of the Earth's skin, and ours with it. Energy generation based on coherent recursion of magnetic fields, appropriately harmonically tuned to Earth's retrograde spin bubble, will feel like a blood communion to Gaia. Only then will she really trust us with her energy secrets. As long as we keep criss crossing our land with 60 cycle harmonic poison, she will continue to respond with fear. Energy distributed with love will be in a complex square wave like harmonic series calculated to synchronize with Earth's natural bell like quality. And the geometry of power distribution we use to share it will be Druid like. Then our planet will sing with self-awareness. 1. Gradually growing global experiment to link ethnic groups by actual heart feedback experiences.. in intimate families and across the globe- heart entrainment over the web heartbeat2000. 2. Ethnic bioregions in agony be actively mapped for long wave magnetic breakdown, AND BE REPAIRED IN THAT WAY CONSCIOUSLY! 3. A curriculum of What is PEACE? be evolved which actively notes the sustainability of embedding behaviors as the ONLY OPTION TO SURVIVAL. (also see ref: 8 . Scale Invariance - Physics of Rapture as Non Destructive Compression.. goldenmean.info/scaleinvariant ). 2. Diet/hygiene for life force/ DNA non engineered coherence/ living water etc. 4. 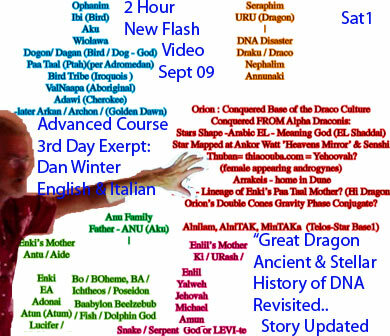 Entertainment/education which recognizes what spins the DNA (Heart Coherence is the true shareability/lie detector). When our spiritual friends tell us to "get grounded", they mean become embedded enough in the waves outside self, in order to better LEVERAGE them (LITERALLY INHABIT THEM), from inside self. (In other words: "Get a Grip!" ). This activity of squirting yourself magnetically inside a wave outside you, in order to then steer it, BY CREATING GRAVITY AT IT'S CENTER, is what is behind the human experiment in locating it's consciousness (recursion) inside waves. The experiment in discovering how increasing population density can non-destructively inhabit the same space, nudges us nicely in the direction of learning the principle of embedding. This is a way for all of us (waves) to agree, on WHAT IS PEACE: in principle! in vokovar yugoslavia when the women installed labyrinth..
to make implosion measureable / teachable / replicable..